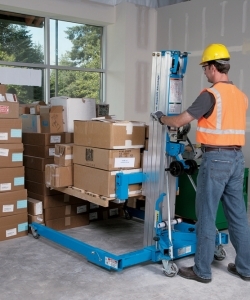 Genie “push around” material lifts are lightweight, low cost and designed to enhance your productivity with highly portable solutions for a wide variety of applications. 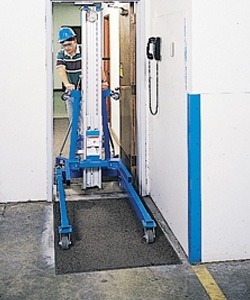 All Genie material lifts can be set up and operated by one person and transported in most light commercial vehicles. 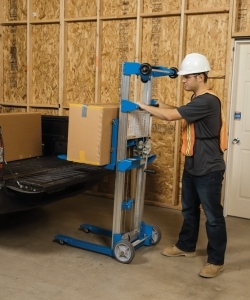 A wide variety of options and accessories make them extremely adaptable to fit your needs. 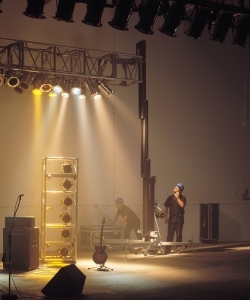 Sturdy construction and reliable performance, excellent value for indoor and outdoor use. 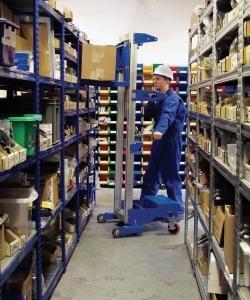 Workplatform have every model and configuration of the entire Genie Material Lift range in stock and ready for nationwide next day delivery. Popular with heating and ventilation companies due to its portability. Will lift 136kg to 3.8m, powered by nothing more than a compressed air bottle. 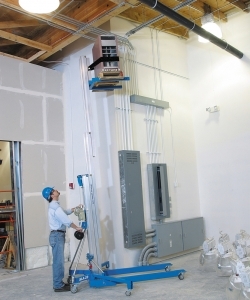 Fully portable air hoist weighing only 37kg. 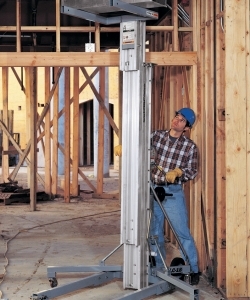 Lifts up to113kg, to a maximum height of 5.60 metres, powered by a compressed bottle. 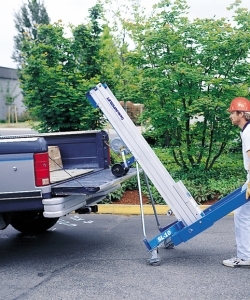 Manually operated material lift, rolls through standard doorways, can easily be loaded into a commercial vehicle. 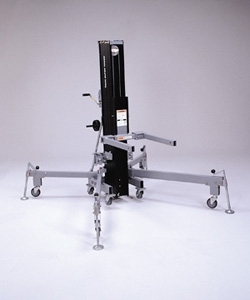 Allows you to widen the legs to straddle loads between 0.80m and 1.27m wide. 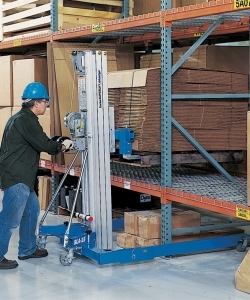 Can handle pallets up to 1.22m wide. 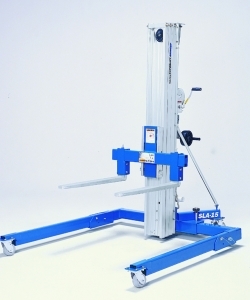 454kg lifting capacity to a height of up to 3.49m if you invert the forks. 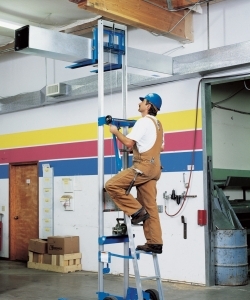 Can be specified to create the lift that you need. 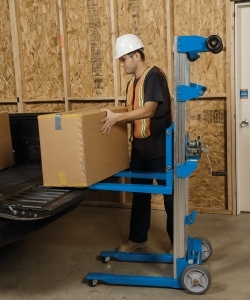 Lift capacity of 454kg, loads of 0.80m to 1.27m wide, handles pallets up to 1.22m wide, Customise to suit your needs. 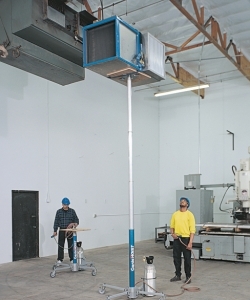 Probably the best selling Genie Superlift. 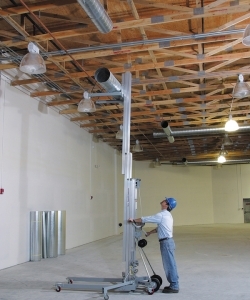 Can lift 363kg to a maximum height of 4.98m with the forks up. 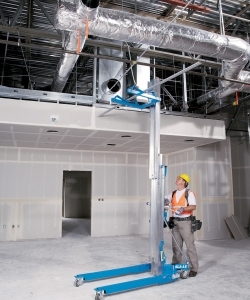 With the ability to lift 363kg to a maximum height of 6.46m, this Genie is fitted with captive stabilisers as standard. 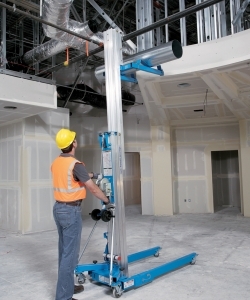 The largest Genie Superlift in the range can lift 295kg to an impressive max height of 7.94m with the forks inverted. A lightweight Superlift, comes with rear transport wheels and captive stabilisers as standard. 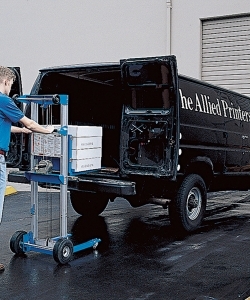 At 102kg it easily loads into the back of commercial vehicles. 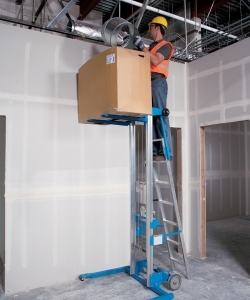 From the Genie Superlift range, this lift offers a perfect compromise between lift capacity, lift height and value for money. 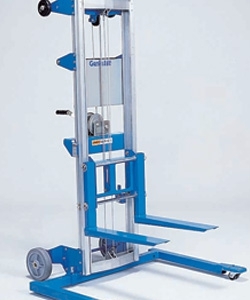 Largest material lift in this range, with rear transport wheels and captive stabilisers. Lifts 295kg to a max height of 7.32m with the forks up, Weighs 157kg. 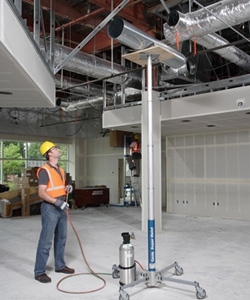 Sorry, the search parameters that you have chosen are out of this model range, please take a look at the Genie Superlift range or contact a member of our team for assistance.